In 2015, both of my parents, on separate occasions, were discharged from the hospital to home care. My mom went to her home with 24-hour nursing care and my dad went to an assisted living facility. In both cases, I was totally unprepared and did not have what they needed to be cared for in home setting. I had no idea what Home Healthcare Supplies were necessary. I just assumed that the hospital would send supplies or that the professional caregivers would have them. Or at the very least, that the hospital would give me a list of supplies to purchase when they gave me their discharge instructions. None of that happened. Thankfully, being without supplies did not result in a life or death situation for either. But it WAS distressing not to have what was needed for them. Especially since both of them were coming out of the hospital facing a major loss of independence and incontinence issues for the first time. 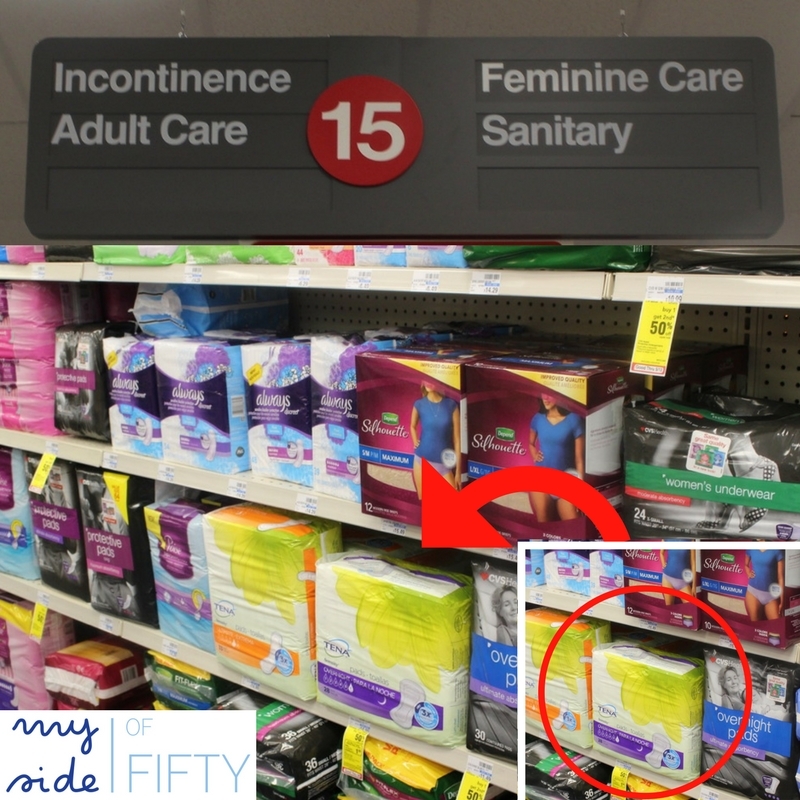 At the very least, having the supplies for incontinence like TENA® Overnight Pads on hand would have dialed down the stress level immensely. Incontinence. Many people are faced with this – not just the elderly. It can be the result of illness or surgery. It can be a temporary or long-term issue. No matter what the circumstances, incontinence is most often met with shame, embarrassment, and fear of leakage and odor by those experiencing it. Those who care for people with incontinence feel their pain and want to be able to assist them discreetly and with dignity. 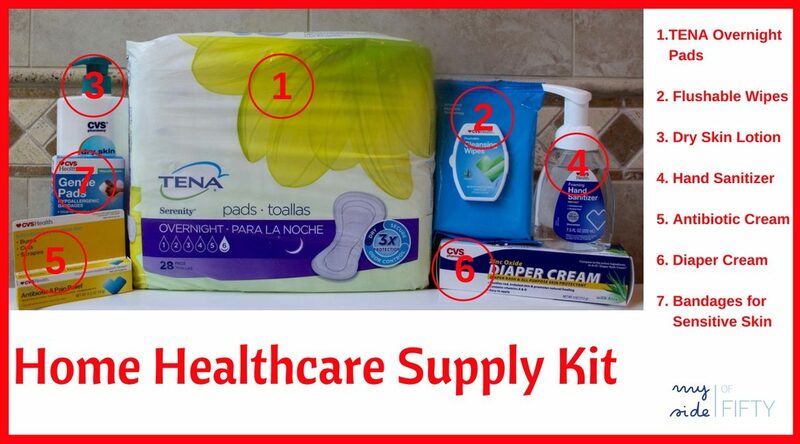 I was able to purchase TENA® Overnight Pads and the other home healthcare supplies that I needed at my local CVS. They are also available online at the TENA® Brand Shop at CVS.com. And although incontinence continued to be an issue, when my parents wore TENA® products, the worry of leakage and odor was gone and they could feel more confident. As soon as discharge starts being discussed, ask the medical personnel what home supplies will be needed at home. Ask that you be given a written list prior to discharge. If you aren’t able to get a list from them, look around at what supplies the medical personnel are using to take care of them and make your own list. If your parent is being transferred to a nursing home or assisted living, find out IN ADVANCE what supplies and services they provide and get it in writing. Make sure that if your parent is being transferred to a nursing home or assisted living facility that the hospital accurately communicates with them the condition and needs of the patient so that THEY are prepared for their care. If you will have a home health aid in your home, be sure that the hospital communicates with them what the condition of the patient is and what their needs are. Ask the agency what supplies you need to have on hand. 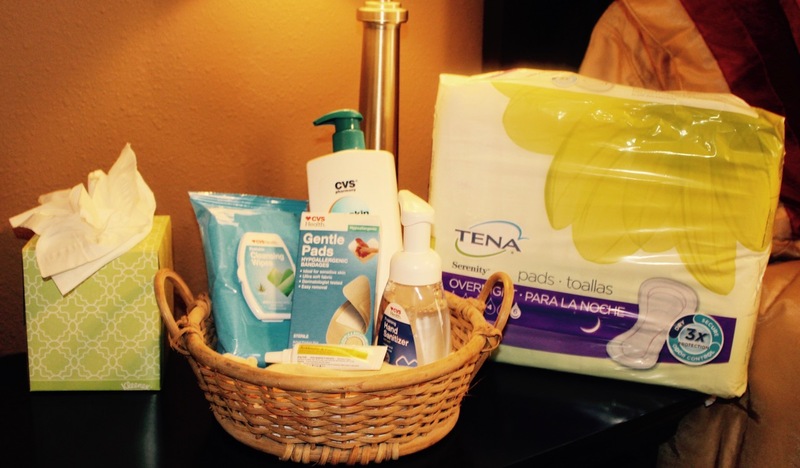 TENA® products for incontinence including TENA® Overnight Pads. Box of bandages in various sizes. For thin elder skin, make sure you get the kind that don’t tear the skin when removing them. If you have a loved one being discharged from the hospital, don’t be caught off-guard. 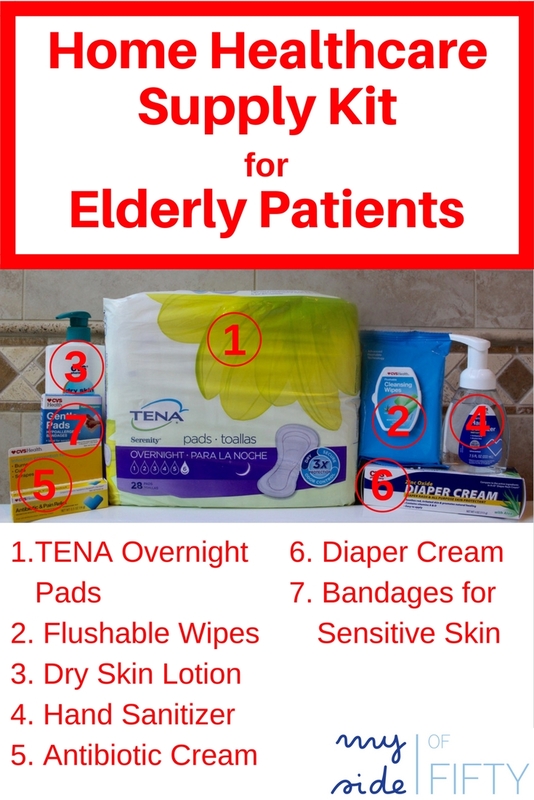 Have the home healthcare supplies you need on hand and ready for when your loved one arrives home. Being prepared can help ease the stress of a very stressful situation. Have you cared for a loved one at home? What products would you add to this list? Thanks, Cathy. I hope this list will help others as they prepare to care for their loved ones! I never would have thought of this!! We always think about what new moms need at home right away, but this would not have occurred to me to plan for. I guess I would have assumed that the hospital would have sent you home with some of what you would need. This has really gotten me thinking! It is so good to think ahead, Jessica! I did not. My parents were fine one minute then mom had a stroke and dad broke his hip and everything changed. It can change in the blink of an eye! Cathy, great tips! This is an important topic that does NOT get addressed. I might add to the list oral swabs and lip balm. Those are two good ones, Jean! Will add those to the list. I was trying to remember what we needed back in 2015! Thanks for reading and commenting! This is a needed topic that should be addressed. Most of us have either dealt with this, or WILL deal with it in the future. It’s good to have resources of what to ask for & when. Thanks for reading and commenting. I was so unprepared, Florence. I hope this post helps others. Excellent post Cathy! Pretty soon I’m going to need one of these health care packages too. Send this post to your kids so they are ready! LOL! I faced a similar situation when my sister-in-law was sent home “to die”. The only home care she had was her husband, who had no clue what to do. There was no list or advice available to him. As an RN but living 45 minutes away, it fell to me to go shopping and travel across to their home 2 or 3 times a day to help care for her. This is an area that needs to be looked into in my country and obviously in yours as well! Today, I’m reminded It’s a Wonderful World! Shirley – where do you live? Yes, it’s a topic that needs to be addressed. I am doing some research and plan to write more about this! Thanks for reading and sharing your experience. Great suggestions. Unfortunately, I’m very well versed in the supplies my mother might need when she comes home from the hospital. It’s become a twice yearly ritual at this point. Jennifer – that is tough. Your poor mom. Poor you. Taking care of our loved ones is hard! You have the best ideas to be prepared, Cathy!! At some point this could all be a factor in our lives, so what a great resource you are! 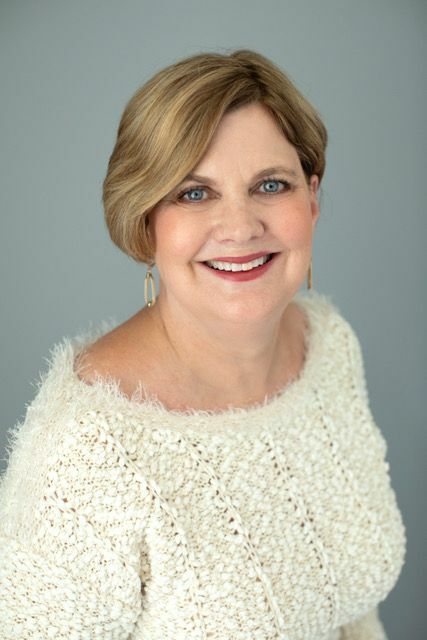 Jodie – as much as I love all of my blog topics, I think this topic of taking care of our loved ones and being prepared for end of life issues is one of the things I am meant to write about. Yes, it’s more likely than NOT that we will all be faced with this at some point. This is great help for an overwhelming situation. I was also distressed about how many products I wasted in disposing of them after my father passed. A lot could have possibly been donated, like an opened package of Depends… I wish there was a place for that. I know what you mean, Jennifer. Fortunately, my dad was in assisted living, so we were able to pass along many of the unused items to other residents. This is a great post and so full of ideas that we might not otherwise think of until the minute something is needed. Thanks for putting the list together! One of the many things I learned on the fly while caring for my parents! Oh Paula, bless you. Being a caregiver is so hard. Hand sanitizer – yes. And I thought of kleenex too after I wrote the post. Loads of patience. Take care! This is brilliant. Thanks so much for this list. My mom is the hospice nurse, so she would know this, but what happens when we are the ones caring for her? This will really help. This is something you never think about (why would you) until you are faced with it. And God Bless people like your mom. Everyone we dealt with at hospice took such good care of my dad and our whole family. great tips. This is an important topic.